Testing, testing, testing ... That's the task of Vogel Audiovision as partner of the First Stage project. And, of course, the continous response about the experiences for the partners, who work on the development of the tools and constantly deliver updates. On the one hand, the program-elements that come from Uni Bremen and Moviestorm are tested on concrete projects. 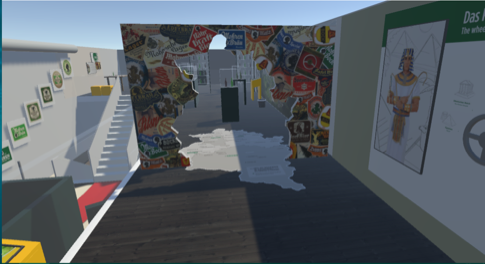 For example, an exhibition project, transferred to the virtual world, is being used as a stage in which the various pre-visualization tools are being tested. That i.e. means the placement and the integration of people and their movements in the virtual set is tested as well as the different tools already available in the tools like basic camera functions and of course the quality of the navigation. At the same time, the motion suit, developed by the Danish partners RoKoKo is intensively tested. Movements of real people who use the suit are transmitted as tests on different computer-animated avatars. Subsequently, these files will then be included in the pre-visualization software. Our task in the near future is also to check how perfectly this integration works and how user-friendly the operation is. The experiences are passed on to the partrners in a constant dialogue to support the purposeful development and continous improvement of the tools. The Evaluation of our software within the Workpackage 6 will be done in real production projects performed by the application partners in order to evaluate if the tools developed within first.stage are easier to use and make the production more efficient. In addition the integration into the exiting production pipeline will be evaluated. Arx Anima have outlined the project Lotte which they will use for the evaluation. The Lotte project will be a whole production that will be performed with the first.stage software and in a traditional way to compare the processes. In this build a new asset rack as well as a new stage is included. Asset rack replaced by Asset Browser accessed by pressing both menu buttons at once. Navigator re-rigged - touchpad handles teleport and trigger grabs a world handle. New stage: Mohren provided by Vogel. Scale and rotate handles should be accessible again. The Evaluation of our software within the Workpackage 6 will be done in real production projects performed by the application partners in order to evaluate if the tools developed within first.stage are easier to use and make the production more efficient. Vogel Audiovision will include their assets for the previs of the Mohren Biererlebniswelt into the first.stage software and will previsualize a commercial for the exhibition within the evaluation. This release includes improvements to path behaviour and some simple posing of puppets. Our partner Arx Anima performed the first tests with the latest demonstartor release 2. They tested interactions for travel, task selection and asset placement and provided us with valueable feedback that we will integrate into the next build of the demonstrator. This release includes Vehicles and Pedestrians, Waypoint Paths, Basic Cameras, Simple Timeline Transport Controls and Choice of Stages. 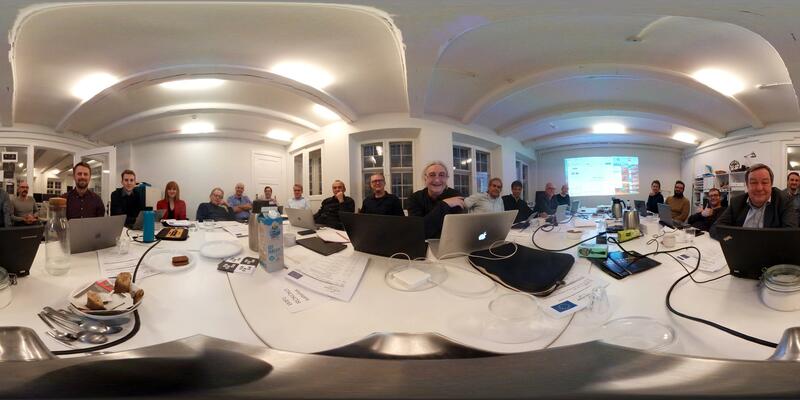 The first.stage consortium came together in November 2017 for a regular central meeting and also to present our progress to our advisory board. For this, we were happy to welcome Prof. Sidney Fels from the University of British Columbia (UBC) Vancouver as our regular advisory board member. Additionally, we welcomed the actor and director Johannes von Matuschka and the stage designer Christoph Rufer to our meeting. 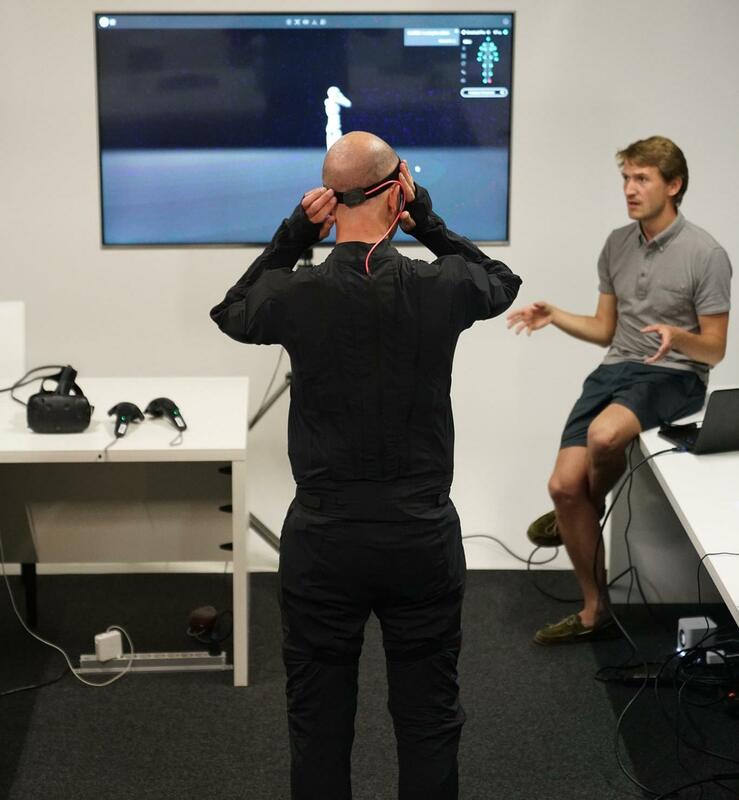 Our three guests were able to try out our tools in detail and test the RoKoKo Smartsuit. They provided us with very valuable feedback and ideas for our future development. 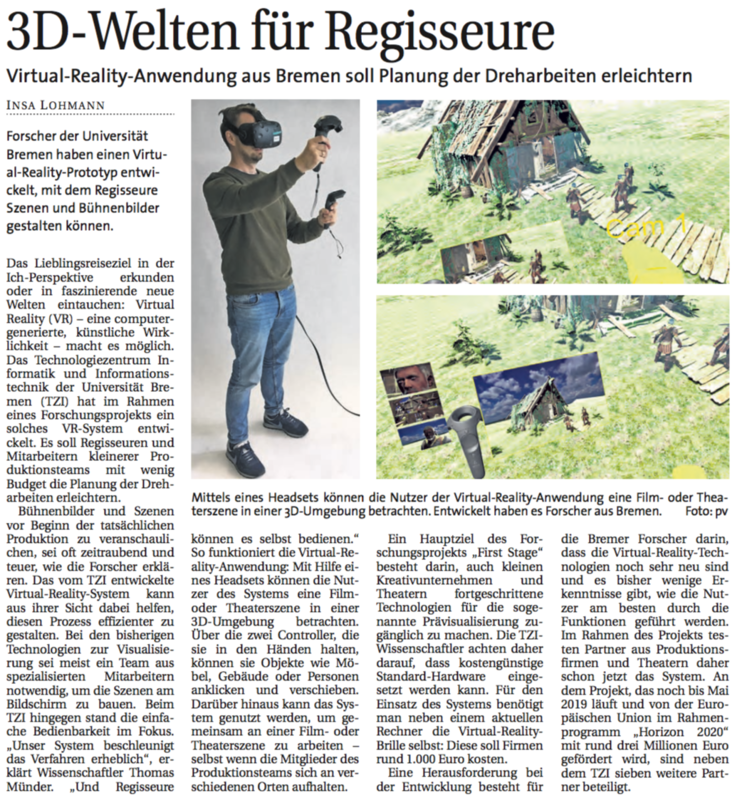 There is a nice article about the first.stage project in the local newspaper of Bremen, explaining the idea and goals of our project to the broader public. Our goal to make previs accessible to smaller, low cost productions as well as the focus on natural user interfaces is described very well. We released the first demonstartor for Animation and Editing Methods and Tools. This demonstrator is one of three demonstrators in the Workpackage 3. 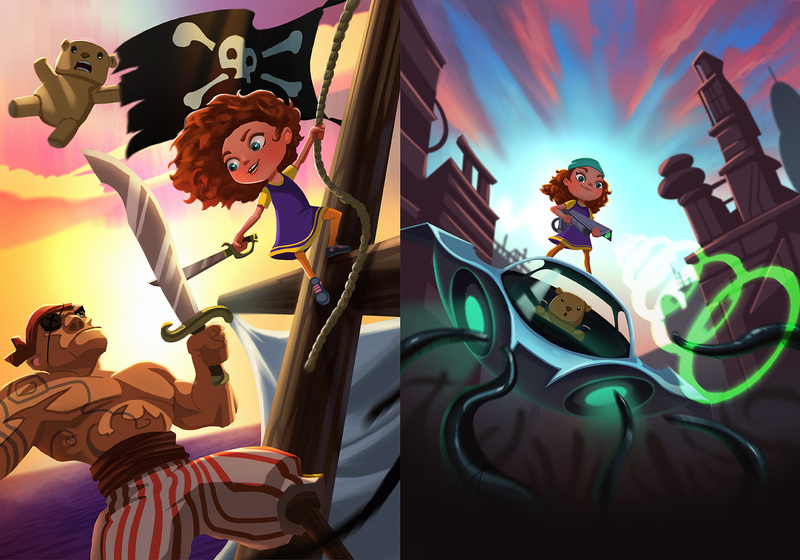 The functionality includes creation of projects, travel in the scene, simple path based animations, and basic camera work. The demonstrator is now in a state that basic previs tasks can be done and our partners can start testing the functions in their application context. The demonstrator is now available to our partners and first tests in the process of Workpackage 6 will be performed soon. We released the first demonstartor for Asset Creation today. The demonstrator is availabe to our partners for testing and you can see some its functionality in the video above. It is one of two demonstrators within the Workpackage 2. The functionality includes browsing and selection of asset from a library, asset placement in the scene and custom creation of assets. In addition some physical simulationed assets are availabe in the asset library and can be used to fill the scene with compelling visuals. Our second Central Meeting was held at the premises of our partner Vogel Audiovision in Linz from 20th to 22nd June 2017. During the meeting the latest features of our demonstrators were presented to all partners and first short tests were performed by persons from the application partners. The partners also discussed further steps of the software development and the upcoming evaluation. In addition our partner Rokoko presented their Smartsuit in detail and the integration into the demonstrators was discussed. 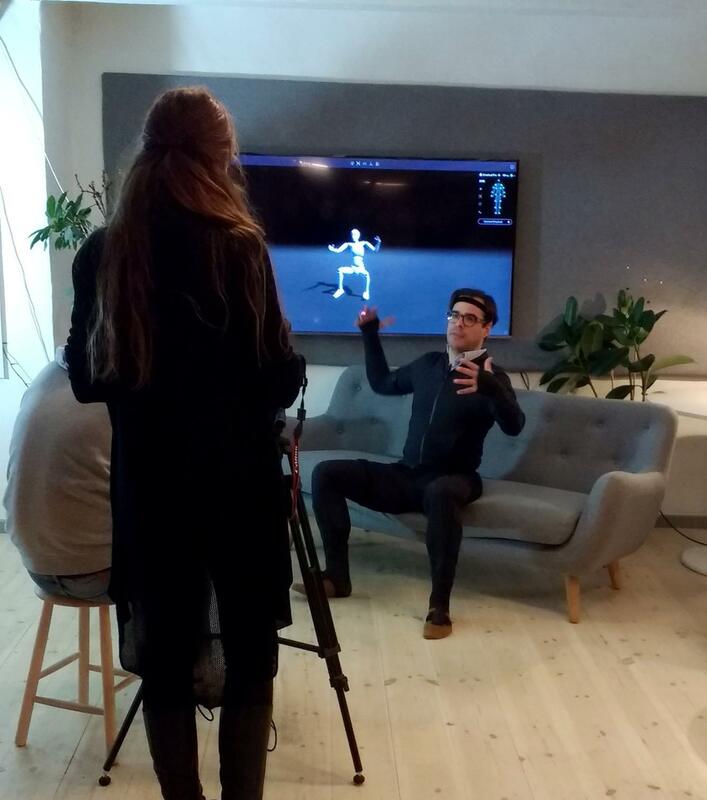 We are excited to present live character animation directly integrated into our software in the near future. In first.stage the focus lies on natural interaction with technology in order to enable none-technical creatives to create, present and communicate their ideas. Natural ways of interaction that utilise innate abilities and existing skills of artists for key tasks in previsualisation are the focus of the research done in first.stage. Within Workpackage 1 we therefore developed a Natural User Interface Concept that combines technical requirements which were previously gathered with the possiblities offered by natural interfaces like Touchscreens and Virtual Reality. On object oriented interface like presented in the image above will ensure that tasks can be performed similar with different input modalities and minimal learning is required when switching between devices. This is important as creatives prefer to perform different tasks like layout and camera work on different devices that best support the needs for this specific task. The FMX Conference is Europe’s most influential conference dedicated to Digital Visual Arts, Technologies, and Business. Every year, VFX specialists, Animation experts as well as Games and Transmedia talents come to FMX to present cutting edge achievements, state of the art tools and pipelines, fascinating real time technologies, and spectacular immersive experiences. Our partner Rokoko had booked a booth on the FMX to present their Smartsuit but unfortunatly were not able to attend. 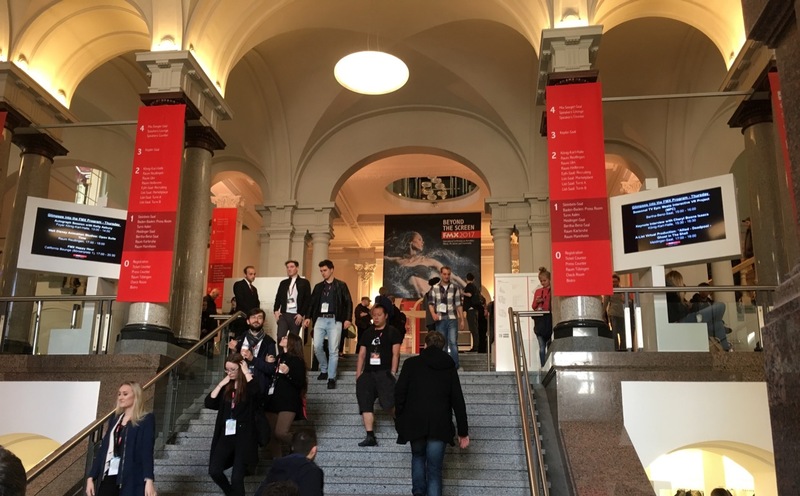 Our partners University of Bremen and Arx Anima took the opportunity to go to the FMX instead in order to talk to people from the Digital Visual Arts scene and present the first.stage project as well as attend interesting presentations. 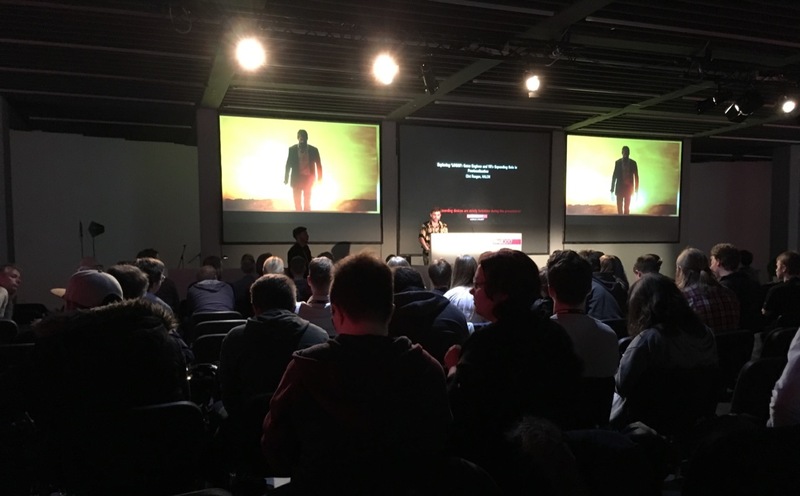 The talks in the Virtual Production Track revealed that using game engines to produce high quality previs for professional film productions like Star Wars or Wolferine is a widely adopted approach. This proves that our approach to previs software is heading in the right direction. 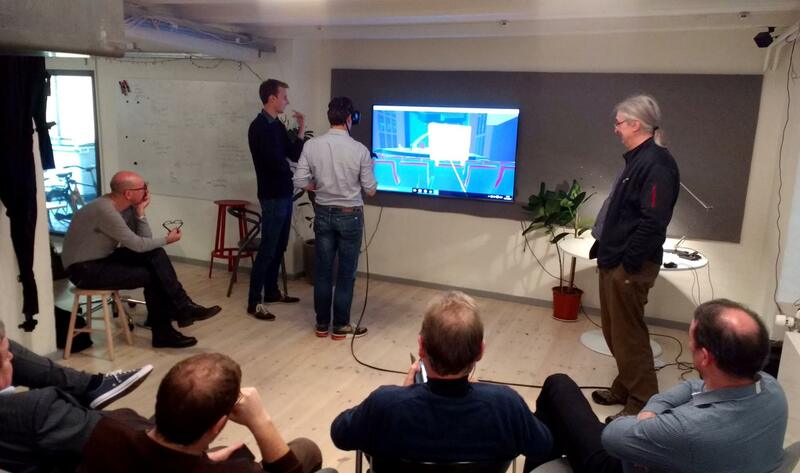 The University of Bremen did a demo session, presenting the current state of the first prototypes in a live stream to all partners of first.stage. Especially the application partners were able to have a look at the current progress of the development and ask questions and give feedback. Three prototypes were presented during the session. A prototype on camera work, showing the use of a virtual camera and view finder in Virtual Reality. A second prototype with an interactive theater stage model of the Musiktheater in Linz of our partner Landestheater Linz and a replica of a real stage design. 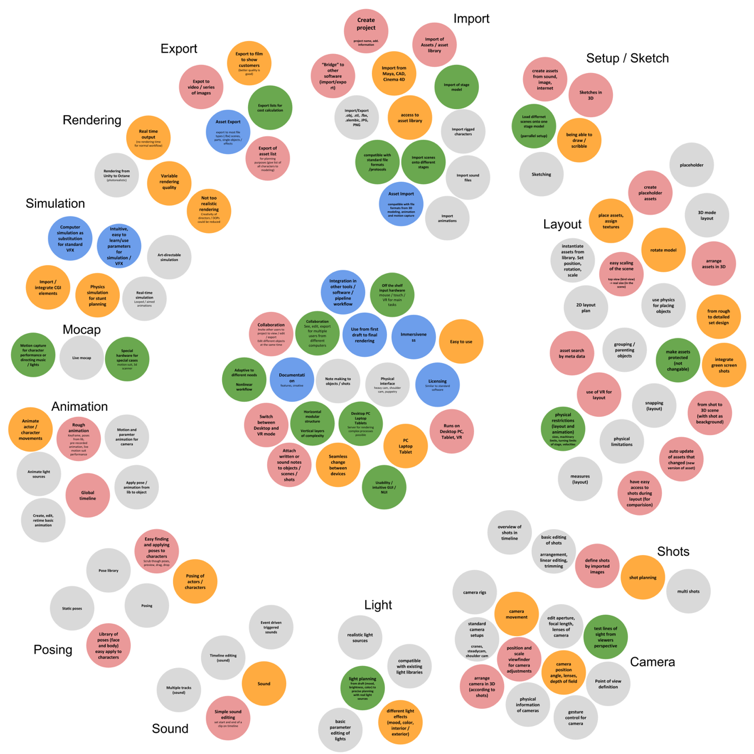 And last, the protoype on asset creation and placement. In order to better understand the needs and requirements of our four application fields: Film, Animation, Theatre and Visual Effects each application partner investigated the needs of professionals in their field for previs. By conducting interviews with professionals we gathered interesting insights into the requirements for a professional previs application. In addition we performed a workshop on the requirements of all our partners. Combining all these requirements, sorting them into different categories, prioritizing all requirements and deriving the core functionalities was done in context of Workpackage 1 and we now have a common set of core functionalities which we will use to build the software for first.stage.